Today I installed the new binding version 2.3.0 (93kb). To read the temperature out of a “vmbpiro” its not possible yet. The “Error 500internal server error” is gone now and it is possible to view the channels. For the “vmbpiro” there is no temperature channel. For the “vmbgp4pir” there is a temperature channel and it is linked. But there is still no temperature readout on Basic UI. Reading out the temperature of VMBGPOD, VMBGP4 and VMBGP2 are working. Then a tiny question because I don’t understand .items files. Perfect, now the temp channels are available and it works. I think it’s a little bug in velbuslink. I’m glad that you’ve got it working now. Really? I’ve been creating groups in PaperUI quite happily. Maybe it’s much easier to arrange them in a text file so that you can see what is on each group. I’ll admit that I can loose track of the members of groups. 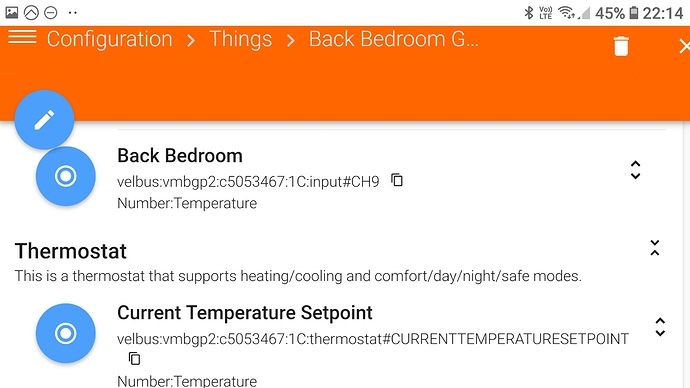 if you want to use openhab with other third parties like google home or alexa, you need to declare the items on the files and rules too. Isn’t it great that there are many different ways to achieve the same goals. I’ve just added tags using the Karaf console so that Google Assistant can control / interact with Items in OpenHab2. you are right, like lower all shutters rule, i didnt do via voice command. Do you guys really have time for all this. I’ve been struggling for the past month to configure my installation but the more I add the more ideas come and the more time consuming is to make it smart. I would like something hey I see you have a new blind module do you want me to set up rules … yes… ok would you like a sunset wake up to be set … sound nice yes… What openhab needs is AI. Do you guys have something like that? As for time to add all these ideas, yes, there are always more ideas than hours available. 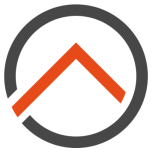 Hi guys, I’m pretty new to the whole OpenHAB story.  I’m a professional Velbus installer and offcourse have Velbus installed at my home. Last week I installed OpenHAB on a RPi 2. 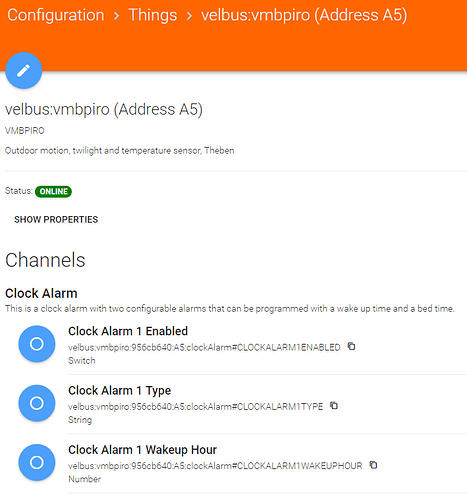 Most of my Velbus installation works through openHAB (with Android phone and on Windows PC) but I’m not able to use a VMB1BL, not on openHAB, and not even in PAPER UI. I had to manually add it too, as it was not found while searching for modules. Is it possible that the VMB1BL is not included in the binding? Or am I missing something? Have you had any luck getting the VBM1BL to work? I have one in stock here, I’ll hook it up to my demo rig and see what happens. As you can see, VMB1BL is not included. I think that’s why it doesn’t work for me. So, should I assume that you’re using the binding from the public repository? Please check this comment within this thread, so that you can use the latest development release. I can confirm that it supports the VMB1BL. The link in thread No. 118 is still valid. You might have to remove some “things” and add them again, so that they can be re-profiled to give you access to the new channels. Oops, I can’t believe that actually slipped my mind. I had read the entire post and immediately downloaded the newer release, but hadn’t found the time yet to install it. I won’t be having time the first few days, but when I install it, I will surely post a reply to let you know if it works. Just finished installing the bleeding edge version. I’m happy to tell you that my VMB1BL works! 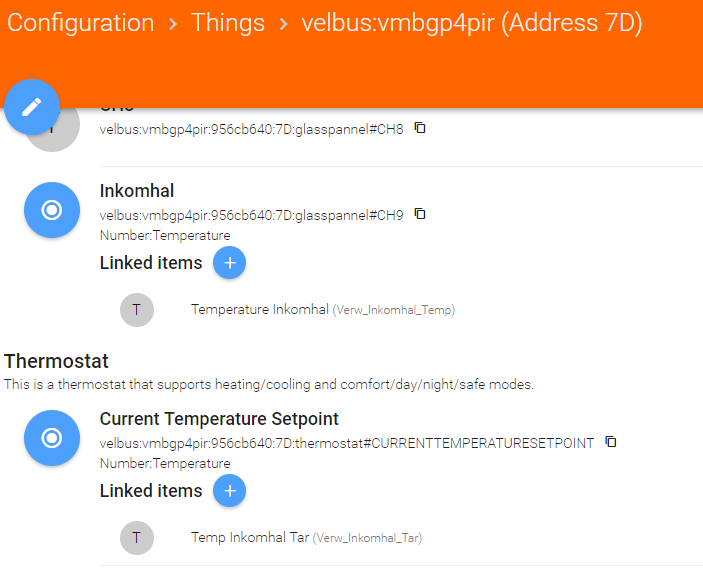 As a new Openhab user, but early adopter of Velbus, I’m very happy I made the right decision years ago. 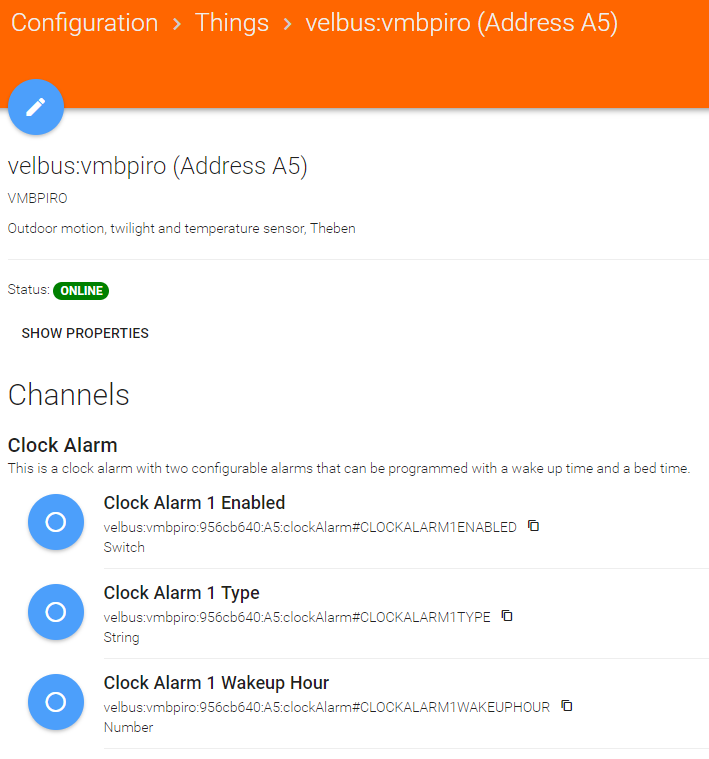 First of all, special thanks for the great works of @cedricb enabling Velbus on OpenHAB! Stating the obvious, but this is a real “reinvention” for me, changing from an isolated home system to limitless possibilities (a bit overwhelming). MQTT Binding: machine-to-machine (M2M)/"Internet of Things"
link temperature state change or the push button input module to use Openhab as “output" trigger for 3th party integrations. Specifically where Cédric talks about Channel triggers? 100% right for thing types vmbgp1 , vmbgp2 , vmbgp4 , vmbgp4pir and vmbpiro have 8 trigger channels CH1 … CH8 and one temperature channel CH9 .